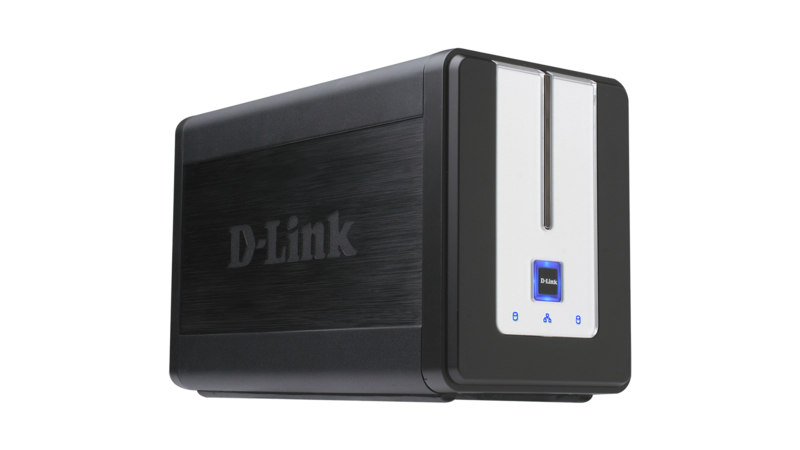 The D-Link 2-Bay Network Storage Enclosure (DNS-323) enables you to share documents, files, and digital media such as music, photos, and video with everyone on your home or office network. With the built-in FTP server, you can access your files remotely over the Internet from anywhere in the world and keep data safe by only giving rights to specific users or groups. The D-Link® 2-Bay Network Storage Enclosure (DNS-323) when used with two internal 3.5” SATA drives1 enables you to share documents, files, and digital media such as music, photos, and video with everyone on your home or office network. With the built-in FTP server2, you can access your files remotely over the Internet from anywhere in the world and keep data safe by only giving rights to specific users or groups. When configuring the DNS-323, you can create users and groups and assign them to folders with either read or read/write permissions. This is ideal for an office environment with employee-specific sensitive data or for the home where you can ensure your children will only have access to age appropriate material. With the built-in USB print server port, you can add a USB printer to your network without a dedicated computer so anyone can print from anywhere on the network. The DNS-323 includes the latest BitTorrent® software support so you can access and store digital media from the Internet without the need for a dedicated PC to be turned on or connected. The DNS-323 connects directly to your home or office network and acts as a media hub for BitTorrent-enabled content. The DNS-323 also acts as an UPnP™ AV media server that streams media to a compatible player (such as those found in D-Link’s MediaLounge™ product line). Four different hard drive modes (Standard, JBOD, RAID 0, RAID 1) enable you to choose the configuration best suited to your needs. Standard mode creates two separately accessible hard drives. JBOD combines both drives in linear fashion for maximum space efficiency. RAID 0 combines both drives in a ‘striped’ configuration, which provides the highest performance. RAID 1 causes the drives to mirror each other, providing maximum protection. If one drive fails while configured as RAID 1, the unaffected drive continues as a single drive until the failed drive is replaced. The new drive will then be remirrored, returning full protection to both drives after it has been mirrored. 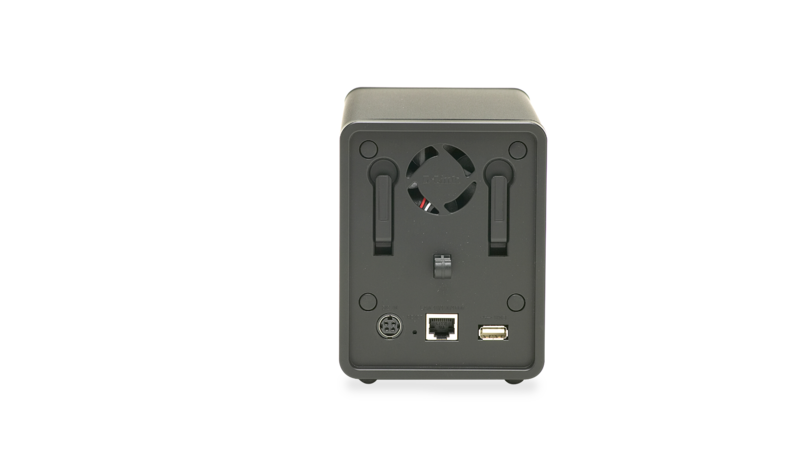 The DNS-323 can automatically back up your data regardless of your computer’s operating system (Windows®, Mac®, or Linux®). For Windows users, the included feature-rich backup software can help you create schedules and rules including real-time full or incremental backups and storage quotas for specific users and groups. The DNS-323 also features a built-in FTP server2 to access files through the Internet, enabling you to manage your files from anywhere in the world. The 2-Bay Network Storage Enclosure (DNS-323) is a high performance, cost-effective solution that provides protection, performance, and flexibility along with simplified management and gigabit connectivity, perfect for your home and small business data storage needs. 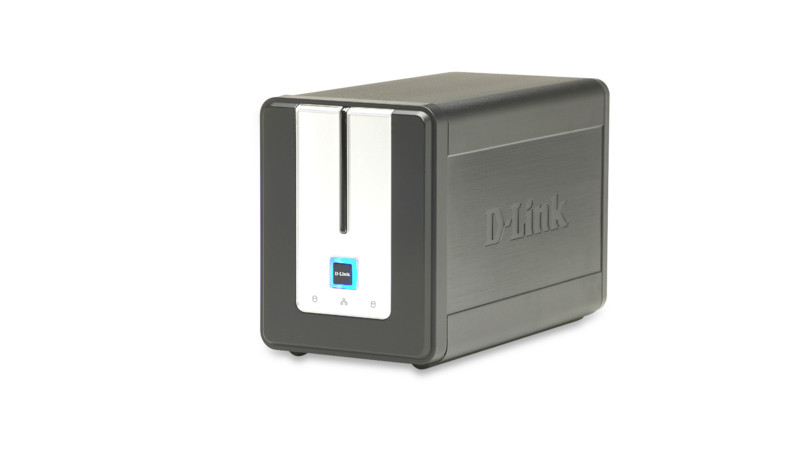 The D-Link 2-Bay Network Storage Enclosure (DNS-323) when used with internal SATA drives1 enables you to share documents, music, photos, and video across the network and on the Internet so family members, friends, or employees can access them. This network storage enclosure creates a central network point for backing up valuable files and the built-in RAID 1 mirroring technology1 protects these files from drive failure. You can also use this device to stream photos, music, and videos to UPnP AV compatible network media players3. The included CD contains the D-Link Easy Search Utility. This utility allows access to the DNS-323 from anywhere on the network. A feature-rich backup software is also included. You can backup valuable files from a computer to the DNS-323 in real-time, manually or on a schedule. Real-time backups are a great way to safeguard against unfortunate accidents that may result in the loss of precious files. 1 Hard Drive(s) not included. An internal SATA drive is required to store or share your files; drive must be formatted before use. 2 Unless additional precautions are taken, use of an FTP Server to access files over the Internet does not provide for secure or encrypted transmissions. It is recommended that the end-user utilize a Virtual Private Network (VPN) to establish a secure FTP session. 3 D-Link cannot guarantee full compatibility or proper playback with all codecs. Playback compatibility depends on the codec support of the UPnP™ AV media player.